More than just an expression of religious authority or an instrument of social control, the Inquisition was an arena where cultures met and clashed on both shores of the Atlantic. This pioneering volume examines how cultural identities were maintained despite oppression. Persecuted groups were able to survive the Inquisition by means of diverse strategies—whether Christianized Jews in Spain preserving their experiences in literature, or native American folk healers practicing medical care. 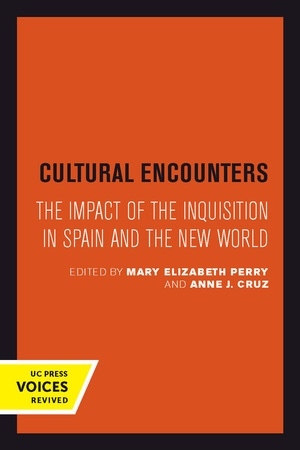 These investigations of social resistance and cultural persistence will reinforce the cultural significance of the Inquisition. Mary Elizabeth Perry is Adjunct Professor of History at Occidental College. Anne J. Cruz is Associate Professor of Spanish at the University of California, Irvine.